NORMAL ARRIVAL TIME BETWEEN 4PM AND 8PM. GUESTS WILL BE MET ON ARRIVAL WITH KEYS AND SHOWN AROUND PROPERTY. GUESTS ARRIVING OUTSIDE THESE TIMES CAN ARRANGE FOR KEYS TO BE LEFT OR CARETAKER WILL MEET THEM AT AN AGREED TIME LATER.ELECTRICITY AND CENTRAL HEATING ARE METERED AND CHARGED AS EXTRAS. METERS ARE READ ON ARRIVAL AND AGAIN ON DEPARTURE AND YOU PAY FOR WHAT YOU USE. LAKE BOAT WITH OUTBOARD ENGINE SHOULD BE BOOKED IN ADVANCE BUT CAN BE PAID FOR ON ARRIVAL. Many thanks Lesley for your kind comments .........glad you liked the house and its location......You are most welcome back anytime. Wishing you the very best ....Tom ,Mary and Shane. Thank you very much for your comments Aine and we are glad you enjoyed your holiday on the River. You are very welcome back anytime.Best Regards Tom. Many thanks for taking the time to put up your review....glad all the family enjoyed the holiday ......you are very welcome back anytime.......Shane. LOCAL AMENITIES : The local village, Glasson (8 km distance), known as 'The Village of the Roses' has 'Spollen's Centra Supermarket/Deli./Off licence/Post Office/TOP Service Station” ( – open until 10pm), two attractive pubs -'Grogans' and 'The Villager' . Both serve excellent food. It also has the award winning “Glasson Village Restaurant” , and a short distance away is the noted 'Wineport Restaurant' located on the lake shore. There's also a Hairdressers, Pharmacy, Craft Shop and a Tourist Information Centre in the Old School House. Also worth a visit locally is “Murray’s” traditional pub in Maghera (approx. 5 km) where they have traditional music sessions and also “Manfred’s Restaurant & Bar”(approx. 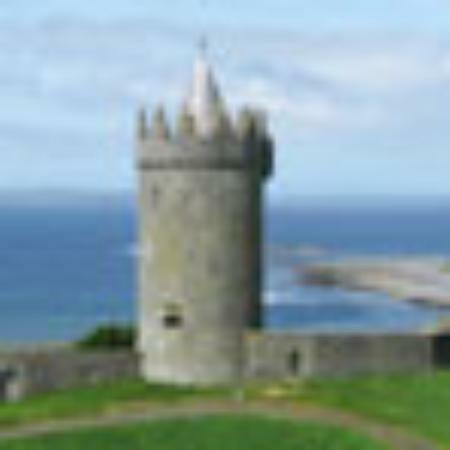 5km) located at Killinure Chalets on the lakeshore. Athlone Town (18 km distance) has Rail & Bus station, Taxi's, an abundance of shops, supermarkets and pubs including 'Sean’s Bar' on the river bank - the oldest pub in Europe. Other attractions include Athlone Castle and Visitor Centre, Derryglad Folk & Heritage Museum, Athlone Equestrian Centre, Leisure World, Athlone Swimming Pool and Sports Centre and just across the lake at Hodson Bay is the Bay Water sports Centre for sailing, rowing, kayaking and pedal boating .